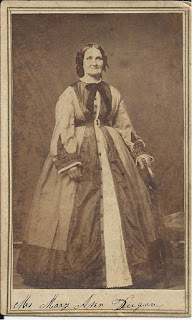 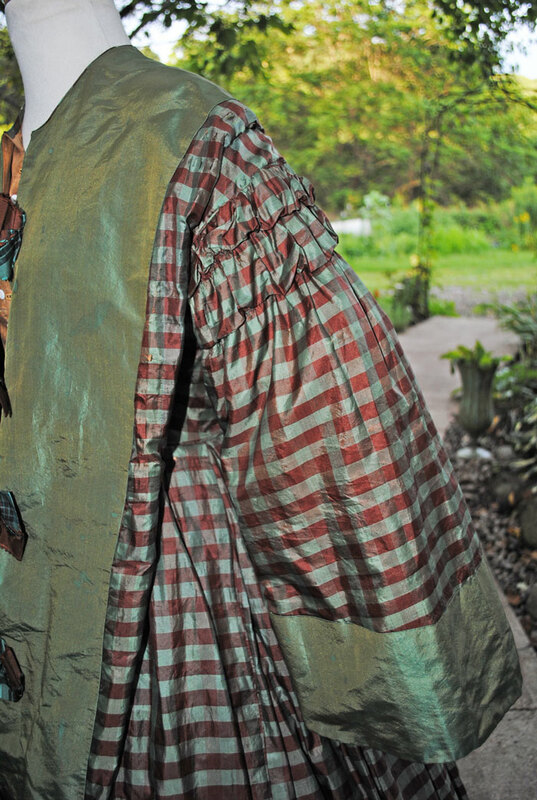 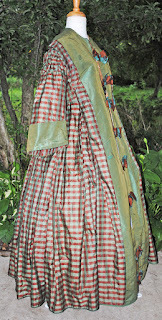 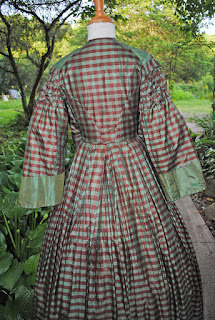 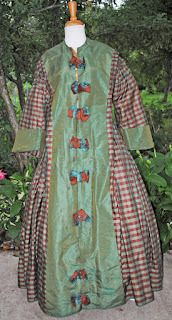 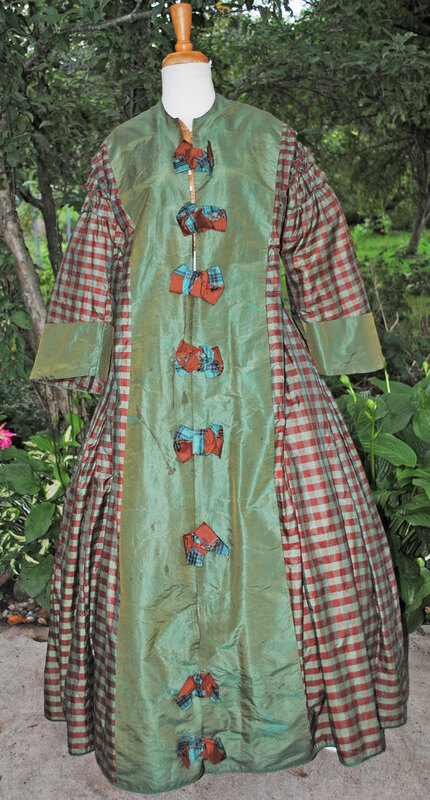 Offering a 1850 - 1860's lady's gown dress green - brown plaid silk taffeta dress, one piece in construction with flared pagoda sleeves, front bows and all hand sewn. 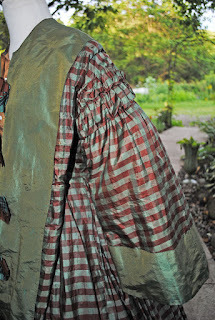 Green silk front is a changeable silk, changing in color with angles and light. 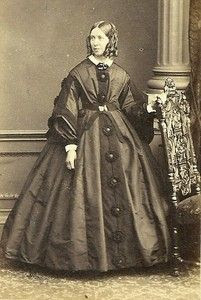 Recently de-accessioned from the Metropolitan Museum of Art collection in New York City. The bodice is piped at sleeve armscyes, and at waistline, waistline is gathered with kick pleats, all hand sewn. 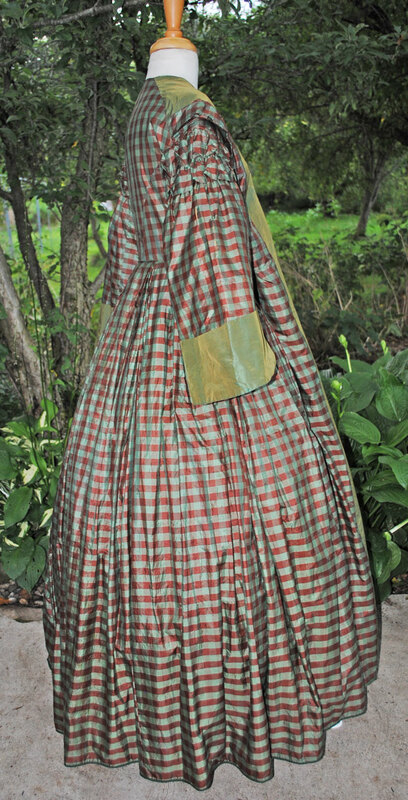 The gown is fully lined with brown polished cotton in skirt and on bodice. 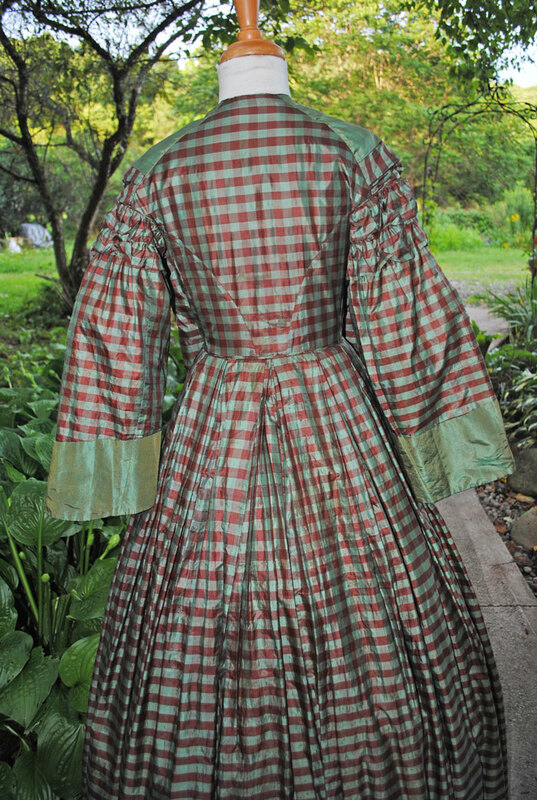 Gown has original inner front white china buttons closures sewn in material closure. 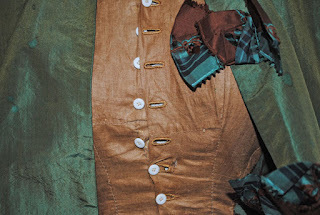 The long arms are flared with pagoda sleeves and double row of ruching in upper arm and pagoda sleeves are lined with brown polished cotton. 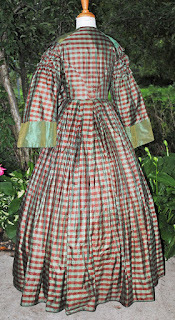 The gown is in fair/poor antique condition for study or display only. 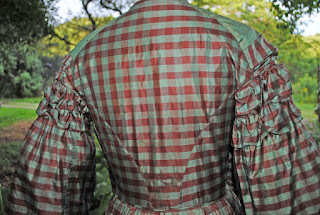 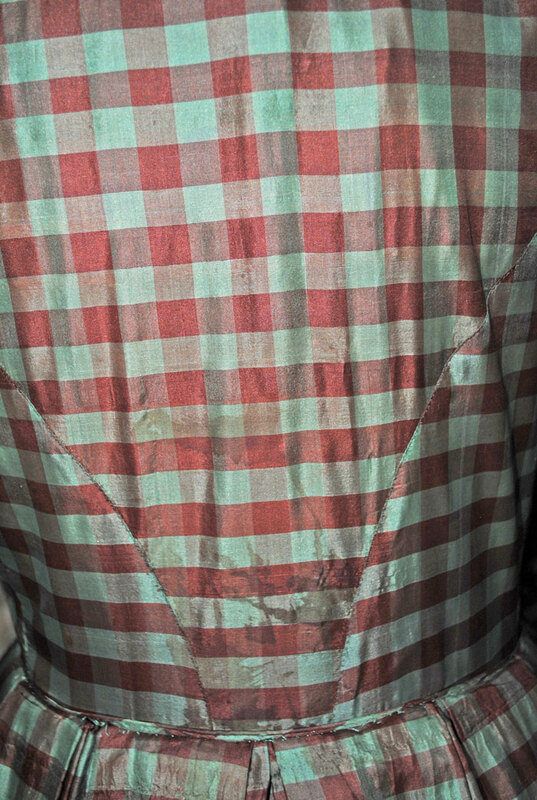 There is underarm discoloration stains on inside and light fading on outside Many small splits in the fabric on both armscyes, shoulders, bodice and body of skirt. 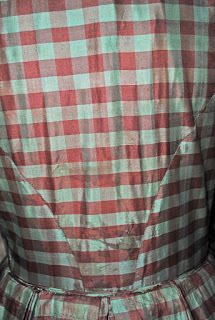 Front and back spill staining as seen in photos. 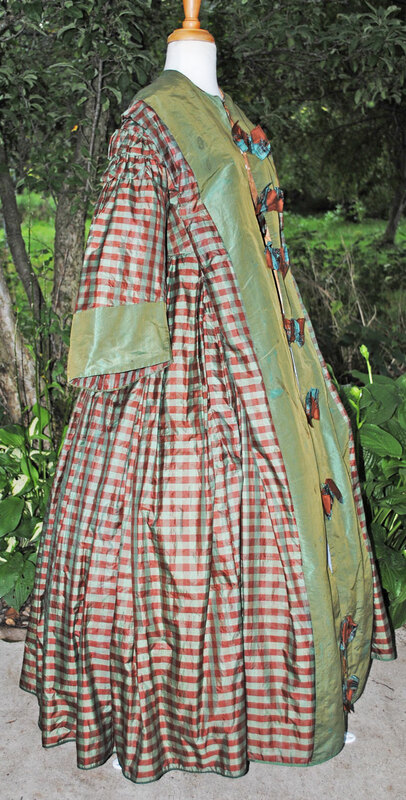 One bow is missing and one bow is fastened with a straight pin. 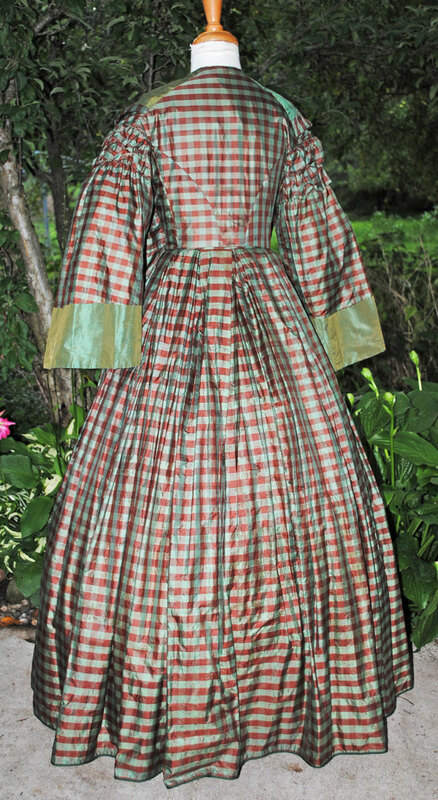 Bust 33", Waist 33", Sleeve length 21", Length from shoulder to front hem 57", Shoulders across back 14", Width circumference at hemline 162". 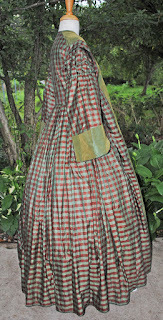 A hard to come by dress of 156+ years of graceful life. 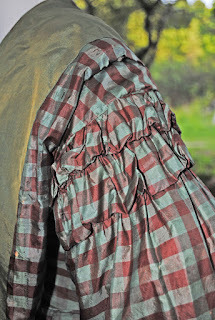 I love wrappers. They just look comfy. 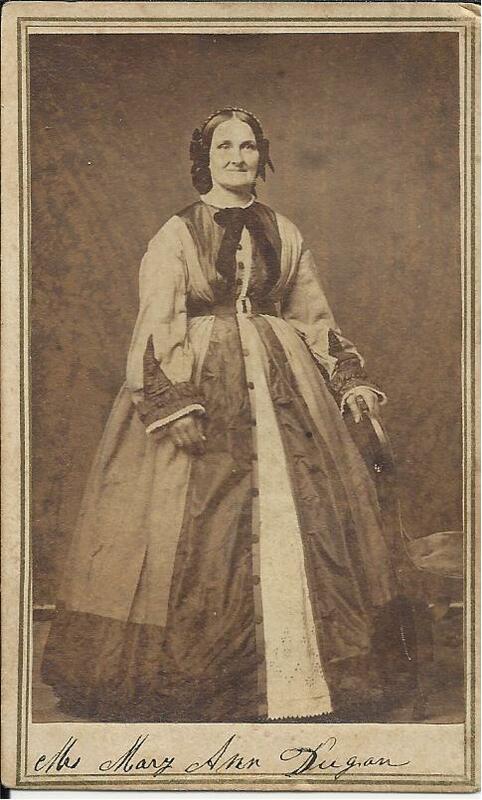 This wrapper is from about 1862/1863 based on the sleeves.